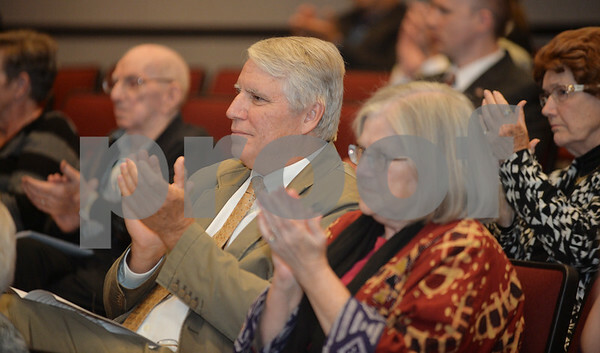 Mary Beth Nolan - mnolan@shawmedia.com during the Dan Kenney applauds fellow DeKalb County Tribute to Heroes award winners Thursday October 1, 2015. The event by Three Fires Council Boy Scouts of America honored recipients for their heroic actions or selfless community service. Kenney was recognized for his volunteer work with gardening and food-related charities.